After 1945, Jewish writing in German was almost unimaginable—and then only in reference to the Shoah. Only in the 1980s, after a period of mourning, silence, and processing of the trauma, did a new Jewish literature evolve in Germany and Austria. 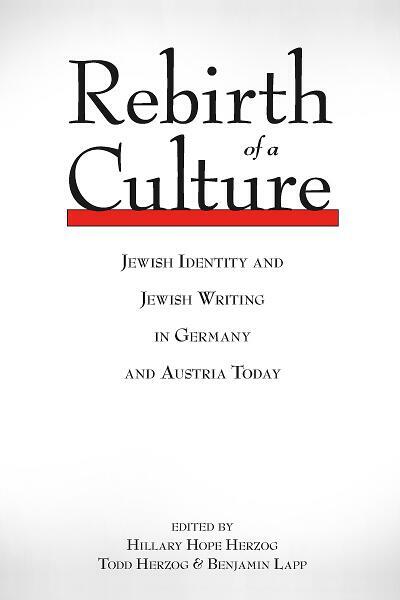 This volume focuses on the re-emergence of a lively Jewish cultural scene in the German-speaking countries and the various cultural forms of expression that have developed around it. Topics include current debates such as the emergence of a post-Waldheim Jewish discourse in Austria and Jewish responses to German unification and the Gulf wars. Other significant themes addressed are the memorialization of the Holocaust in Berlin and Vienna, the uses of Kafka in contemporary German literature, and the German and American-Jewish dialogue as representative of both the history of exile and the globalization of postmodern civilization. The volume is enhanced by contributions from some of the most significant representatives of German-Jewish writing today such as Esther Dischereit, Barbara Honigmann, Jeanette Lander, and Doron Rabinovici. The result is a lively dialogue between European and North American scholars and writers that captures the complexity and dynamism of Jewish culture in Germany and Austria at the turn of the twenty-first century. Hillary Hope Herzog is an Assistant Professor in German Studies at the University of Kentucky. She has written articles on a wide range of topics, including Arthur Schnitzler, Austrian-Jewish culture, and Irmgard Keun. She is currently working on a book about Austrian-Jewish culture from the end of the nineteenth to the beginning of the twenty-first century. Todd Herzog is an Associate Professor in the Department of German Studies at the University of Cincinnati. He has authored articles on contemporary German-Jewish and Austrian-Jewish literature, crime films and techniques of criminal investigation, and theories of cultural hybridity. He is co-editor (along with Sander Gilman) of A New Germany in a New Europe (Routledge, 2001) and author of Crime Stories (Berghahn, 2009). Benjamin Lapp is currently Associate Professor of History at Montclair State University and lives in New York City. His publications include Revolution from the Right: Politics, Class and the Rise of Nazism in Saxony, 1919-1933 (Humanities Press/Brill, 1997). He is now pursuing a research project on Holocaust survivors in the United States.